You can zip to Wilson's Prom in about three or four hours but if you're looking for a place to stop, one of my favourite spots is Coal Creek Museum. It's located in Korumburra, which is approximately half way to the Prom. There's a café, nice grounds and lots of history. Considering that so much of Victoria's history originates from coal, it's nice to find a place that pays tribute to the life of Australia's early migrants who built their lives around the collieries. Coal mining has made great contributions to Australia's development, powering foundries and factories, steam engines and flour mills. 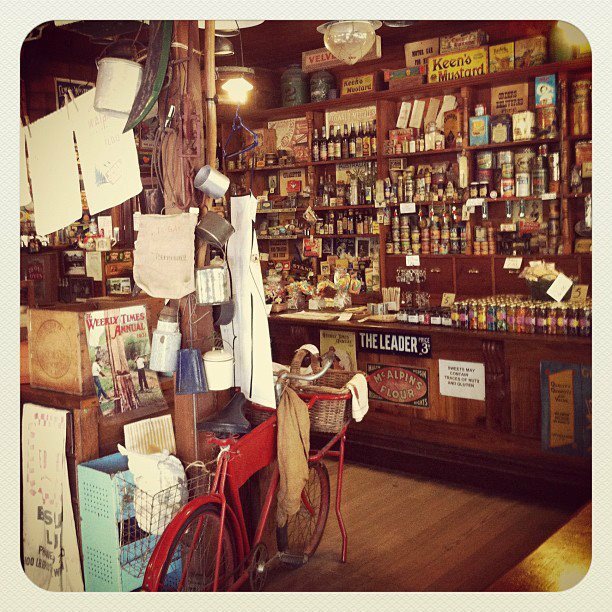 Coal Creek Museum is an entire town dedicated to Victoria's coal-mining past. It was built on the original Coal Creek mining site and allows you to stroll through a real-life coal mining village complete with blacksmith, dairy factory, railway station and other heritage buildings, lovingly restored. Walking down the pathways of Coal Creek, it is not hard to imagine how the mining community might have once lived. For example, you will find a blacksmith's shed filled with original tools or a train carriage with luggage straight out from the 1900s. The General Store is one of the most inspiring I've seen decked out with an assortment of homeware and kitchen items, not to mention home-made sweets you can purchase for yourself. Kids are sure to enjoy the bush tram ride; a ride through bush and eucalypt forest, the way the miners and their families did. Coal Creek holds great potential to be a marvellous museum. All it needs is a little more information about the exhibits. But considering entry is free and that the museum is largely run by volunteers, it does well enough as a historical site. If you're lucky you might catch someone who is able to tell you a tale or two from way back when. In terms of food, there is a café – The Pig and Whistle – by the lake or you can have a picnic anywhere on the grounds. If you have a restless child in tow you will be pleased to know there is a nice wooden playground next to the carpark.